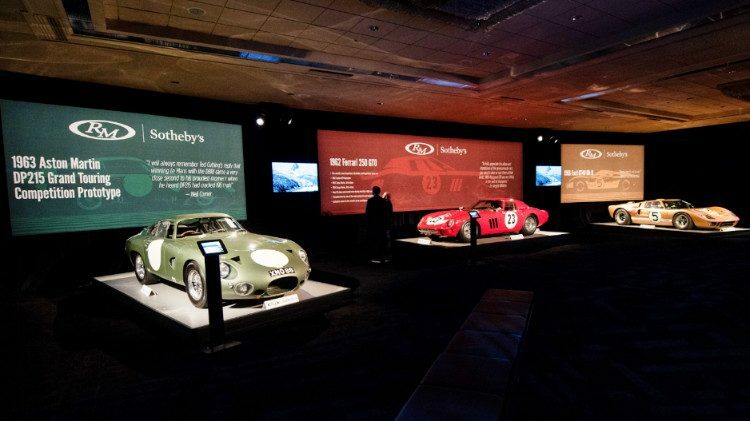 A Ferrari 250 GTO sold for $48,405,000 and an Aston Martin DP215 for $21,445,000 as the top results at the RM Sotheby’s Monterey 2018 public auction. The highest price paid at the RM Sotheby’s Monterey 2018 sale and all Monterey Week 2018 classic car auctions was $48,405,000 for a 1962 Ferrari 250 GTO. 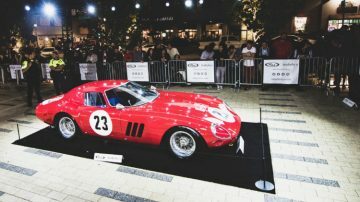 As a result, this Ferrari 250 GTO took the title as most-expensive car ever sold at public auction from a sister model and increased the record price by $10 million. The second highest result at the RM Sotheby’s Monterey 2018 auction was $21,455,000 paid for a 1963 Aston Martin DP215 Grand Touring Competition Prototype. 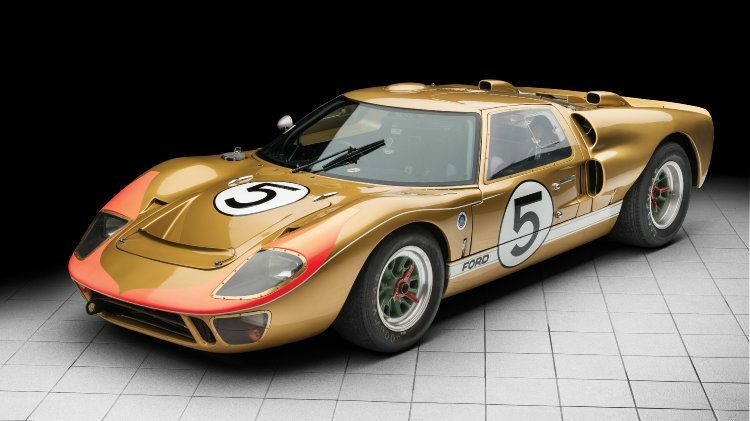 The third highest price paid was $9,795,000 for a 1966 Ford GT40 Mk II that finished third at Le Mans. 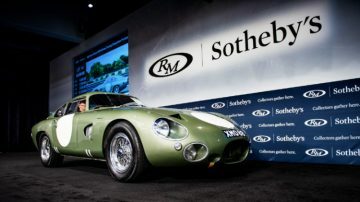 RM Sotheby’s sold 22 cars for more than $10 million and earned $158 million during the two-day sale. RM Sotheby’s Monterey 2018 classic car auction was held on 24 and 25 August 2018. At the 2018 auction, RM Sotheby’s earned $158 million by selling 124 of 150 lots (83%). The average sale price was $1,270,903. At the 2017 auction, RM Sotheby’s earned $133 million with a sell-through rate of 88% and 32 cars sold for over a million dollar. 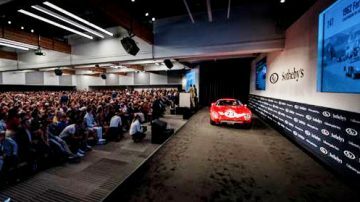 RM Sotheby’s three-day Monterey 2016 auction remained the highest grossing classic car auction ever with $173 million earned and 35 million-dollar cars sold. Note: Prices as published by RM Sotheby’s including premium. The top result at the RM Sotheby’s Monterey 2018 classic car auction was $48,405,000 paid for the 1962 Ferrari 250 GTO, chassis 3413, to set a new world auction record for a car sold at public auction. The opening bid for this 1962 Ferrari 250 GTO was $35 million, which would have been sufficient to take the title of most-expensive car in the world away from the 1962-3 Ferrari 250 GTO that sold for $38,115,000 at the Bonhams Quail Lodge 2014 sale. The final bid was slightly below the $45-60 million estimate indicating that the seller was not taken in by rumors that GTOs sold for $70 million privately. 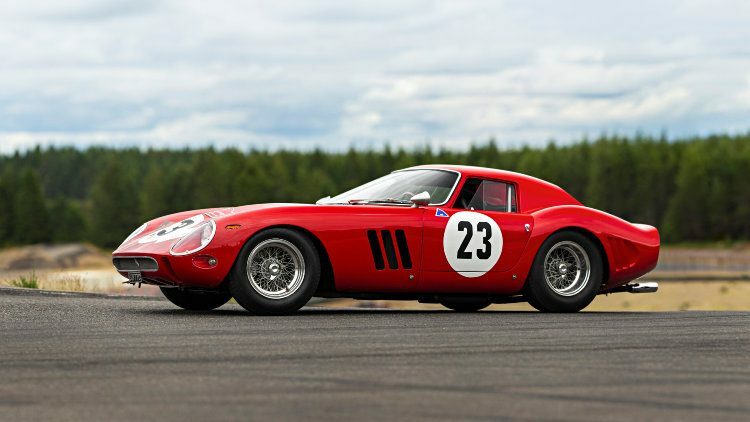 Only 36 Ferrari 250 GTOs were ever produced with two the two most-expensive cars ever sold at auction. These are also the only two GTOs offered at public sales in the past decade or so. The 1962 Ferrari 250 GTO, chassis 3413, was the third GTO produced. It was driven by Phil Hill in preparation for the 1962 Targa Florio but the car was sold to privateer Edoardo Lualdi-Gabardi, who raced it to the Italian Championship in 1962 by winning six races and taking first in class at a further five. The car later finished first in class at the Targa Florio in both 1963 and 1964. 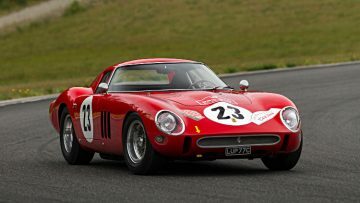 See 1962 Ferrari 250 GTO – Most-Expensive Car in the World for more on this record-breaking car. The second highest price paid at the RM Sotheby’s Monterey 2018 sale was $21,455,000 for the 1963 Aston Martin DP215 Grand Touring Competition Prototype. 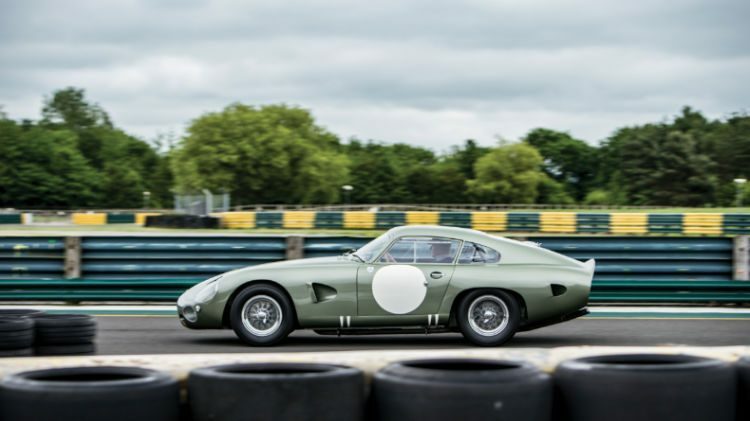 The result was about a million dollar below the marque record $22,550,000 paid for a 1956 Aston Martin DBR1, which is still the most-expensive British car ever. The 1963 Aston Martin DP215 Grand Touring Competition Prototype, chassis DP215, was the final of four development project cars built in the David Brown era. The car was incredibly fast: driven by Phil Hill it was the first car to exceed 300 km/h on the Le Mans straight. It also lapped the Le Mans circuit 12 seconds faster than a Ferrari 250 GTO. Unfortunately for Aston Martin, gearbox trouble forced the car’s retirement in the only two races it contested: Le Mans and Reims in 1963. RM Sotheby’s third highest result at Monterey 2018 was also for a car with racing experience: $9,795,000 paid for a 1966 Ford GT40 Mk II. This 1966 Ford GT40 Mk II, chassis P/1016, finished the 1966 Le Mans 24 Hours race in third place behind two Shelby American GT40s. This GT40 just missed out on joining the four other American cars that have sold for more than $10 million. 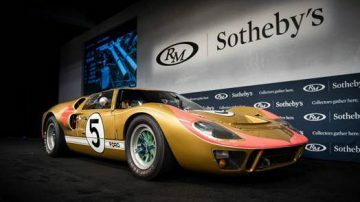 The Ford marque record is still the $11 million paid for a 1968 Ford GT40 Lightweight (with a Steve McQueen connection) at the RM Auctions Monterey 2012 sale. 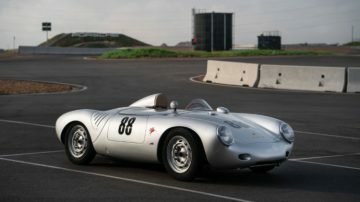 A 1957 Porsche 550A sold for a strong $4,900,000 – the highest Porsche result of all the Monterey Week 2018 auctions. This price was only $270,000 for the model record set at Bonhams Scottsdale 2018 – a transaction that brought many more of this model to market. 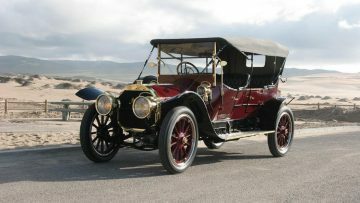 A 550 sold at Gooding for $4.5 million while a further 550A failed to sell when it could only attract a $2 million bid at the Mecum auction. The only other million-dollar Porsche at RM Sotheby’s Monterey 2018 was a 1973 Porsche 911 Carrera RSH 2.7 that achieved $1,380,000. A Porsche-based 1989 Ruf CTR sold for $1,022,500 while a 1998 Ruf Turbo R Limited sold for $912,500. A 2004 Porsche Carrera GT sold for $940,000 – the highest result RM Sotheby’s ever had with this popular model. Gooding similarly sold one above estimate but Mecum remained the only auctioneer to have sold a Carrera GT for more than a million (and did it on three occasions). Expect more Carrera GTs to again test the market in 2019. 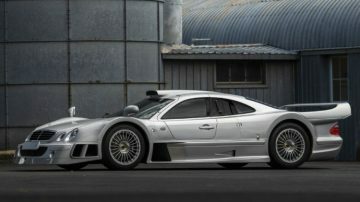 The top Mercedes Benz result at the Monterey sales was a model record $4,515,000 for a 1998 Mercedes Benz AMG CLK GTR. This car was the 9th of only 25 cars produced as street-legal versions of the DTM racing car. Two Mercedes Benz 300 SL Roadsters and two Mercedes Benz 300 SL Gullwings sold for relatively high prices. Other auctioneers similarly had good 300 SL results, which may encourage more to again test the market. 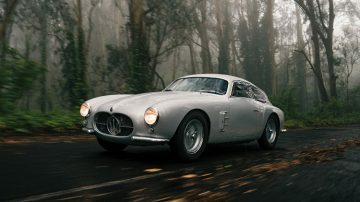 A 1956 Maserati A6G/2000 Berlinetta by Zagato sold for a strong $4,515,000. This Maserati was the 11th of only 20 fitted with a Zagato body. The car participated in the 1956 Mille Miglia. The restored Maserati was awarded best in class at Amelia Island and Villa d’Este and second in class at Pebble Beach 2014. 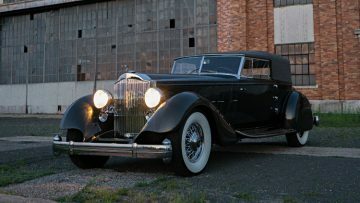 A 1934 Packard Twelve Individual Custom Convertible Victoria by Dietrich sold for $3,745,000. It is a unique factory show car with LeBaron-style fenders that retained its original chassis, engine, gearbox and body. It was awarded best of show at the Pebble Beach in 2013 and St John’s in 2016. Modern supercars were offered in relatively low numbers at the RM Sotheby’s Monterey 2018 sale. A 2014 Ferrari LaFerrari sold within estimate for $3,305,000 while a 1990 Ferrari F40 sold for above estimate $1,710,000. A 2014 McLaren P1 sold within estimate for $1,820,000. Note: HB = unsuccessful highest bid as reported by Hagerty. The highest unsuccessful bid at the RM Sotheby’s Monterey 2018 sale was $8,893,500 for a 1960 Ferrari 250 GT SWB Alloy Berlinetta Competizione – a similar car failed to sell at Bonhams for a similar bid. 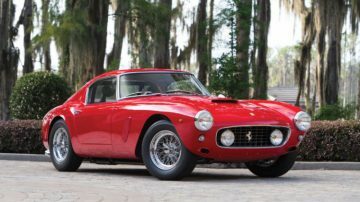 Several highest bids came close to the lower estimate and it was surprising that no deals were done: the highest bid for the 1953 Ferrari 250 MM Berlinetta was only $100,000 away from the $7.5 million lower estimate. While the 250 GTO set a new auction world record, the 1984 Ferrari 288 GTO seems to be treading water. 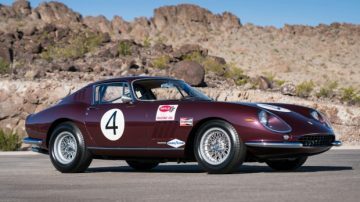 If the highest bid was accepted, the result would have been barely higher than the prices RM Sotheby’s sold it for previously: $2,585,000 at the RM Sotheby’s Amelia Island 2016 sale and $2,750,000 at the RM Auctions Arizona 2015 sale.